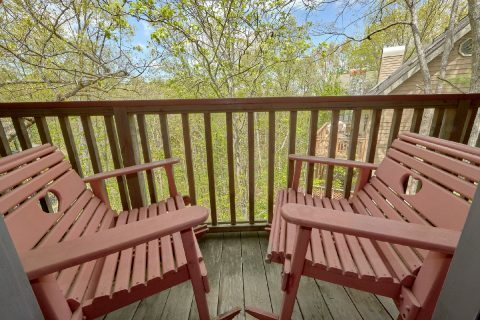 Looking for a cabin that's close to Downtown Pigeon Forge that also provides resort pool access? Check out "Rays Inn," an affordable 2 bedroom cabin that's located just off of Wears Valley road within the Pigeon Forge city limits. 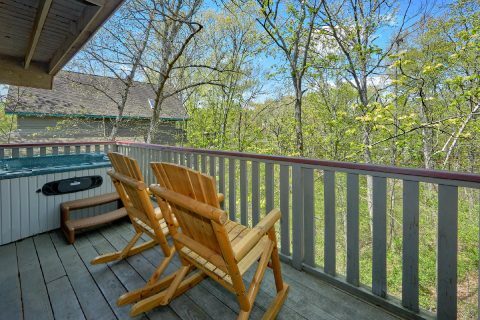 Thanks to this cabin's resort location, guests of this rental can enjoy seasonal outdoor pool access! 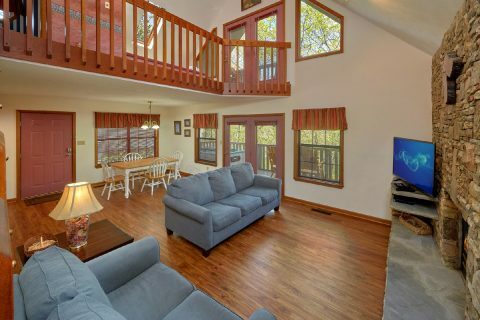 Better yet, while this cabin keeps vacationers only minutes away from exciting destinations like The Island and Dollywood, guests of "Ray's Inn" will also appreciate this cabin's peaceful, forested setting. 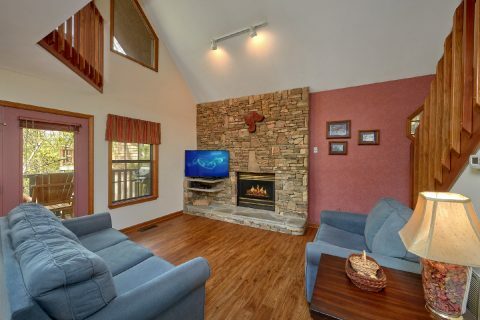 Step inside this cozy cabin and you'll find a welcoming living area that comes complete with a gas fireplace and a television that's perfect for enjoying a fun movie night with family and friends. 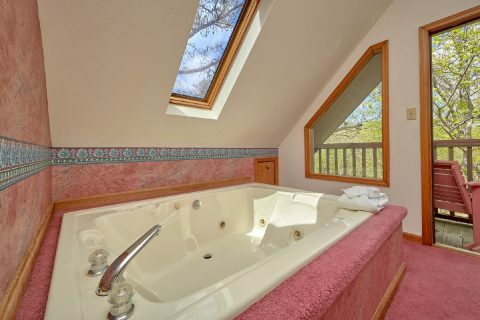 In the upstairs loft, you can enjoy a relaxing soak in your cabin's indoor jacuzzi tub. 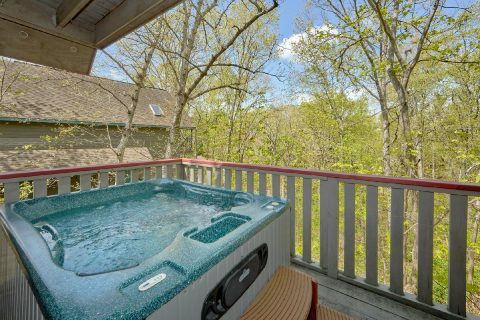 Out on the deck, your cabin provides a hot tub so you can take a soothing dip in the fresh mountain air. 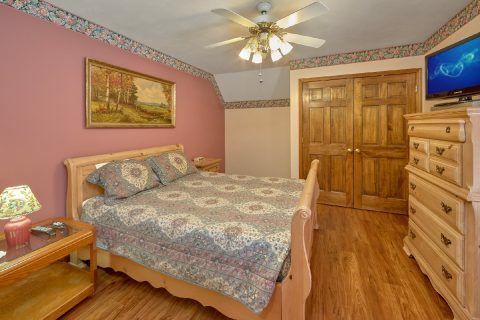 Once you're ready to get some rest, you can look forward to sleeping in one of this cabin's two private bedrooms. 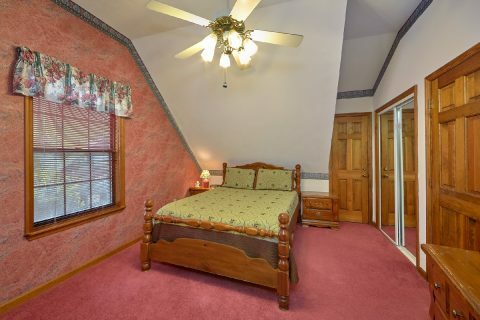 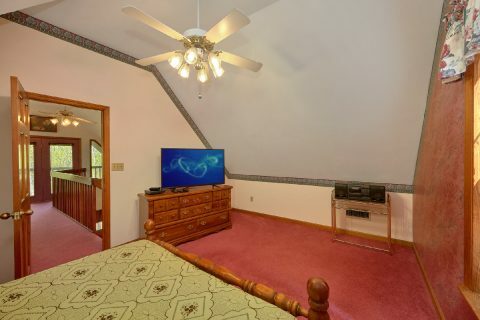 The main level features a queen bedroom and the upper floor features another bedroom. 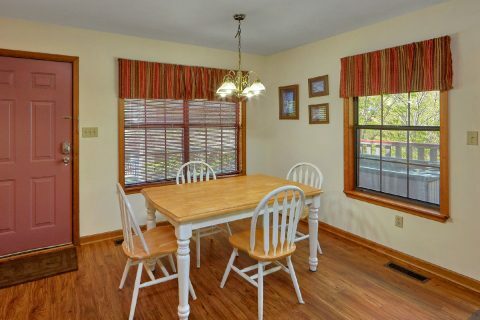 With a sleeper sofa in the living room for extra guests, this cozy cabin near the Pigeon Forge Parkway can sleep up to 6 guests in comfort. 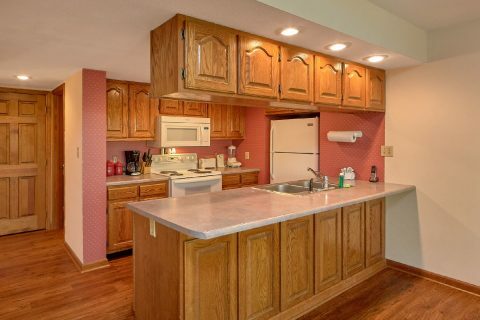 If you're planning a vacation on a budget, keep in mind that this cabin's full kitchen can help you save on your vacation costs by giving you the option of preparing your own delicious meals at home. 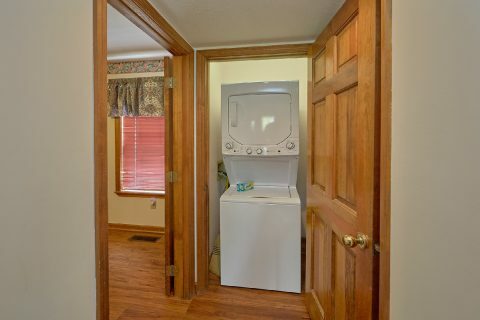 Additionally, this cabin provides guests with WiFi Internet, a washer/dryer, and a gas grill. 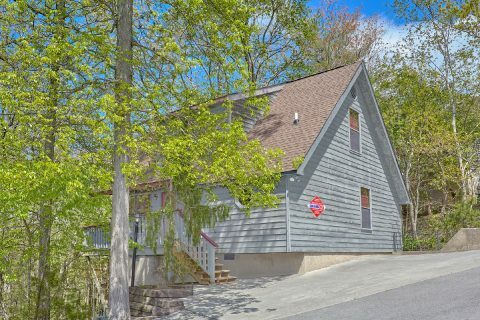 Book this cabin located just off of Wears Valley road in the Smokies today with Cabins USA Gatlinburg to save 15% on your nightly rate with our cabin discount!